Two BIG-IP 2200s boxes arrived into the office today for new web service project with multiple rack kits are inside. Two additional power supplies come in with another two small boxes. The rack rail mounting kit make rack installation much easier , just like mounting a server. The entry-level BIG-IP 2000 series provides a high-performance ADC platform for organizations wanting to add integrated application delivery to their networks, with options for advanced security. Both devices have been mounted into rack side by side. There are three cables connecting to each devices. Blue one is Mgmt interface; Yellow one is on Console port. Purple cable is on Port 1.1. Sync cable is not connecting yet. You can use the LCD panel to configure the management IP address. The management IP address enables you to access the BIG-IP® Configuration utility to configure other aspects of the product, such as the product license, VLANs, and trunks. The options are located in the System menu. Note: When using the LCD panel to configure the unit, be sure to use the Commit option to save all settings. 1. Press the X button to activate Menu mode for the LCD. 2. Press the Check button to select System. a) Press the Check button to select DHCP. b) Press the Check button to select enabled. a) Press the Check button to select Management. c) Use the arrow keys to select Mgmt IP and press the Check button. 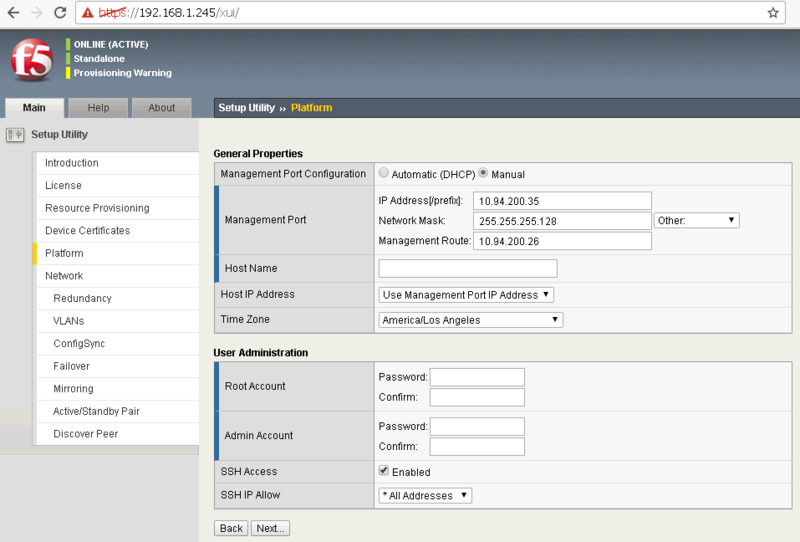 d) Use the arrow keys to configure the management IP address. e) Use the arrow keys to select Prefix Length and press the Check button. g) Use the arrow keys to select Mgmt Gateway and press the Check button. h) Use the arrow keys to configure the default route for the management interface. 5. Use the arrow keys to select Commit and press the Check button. 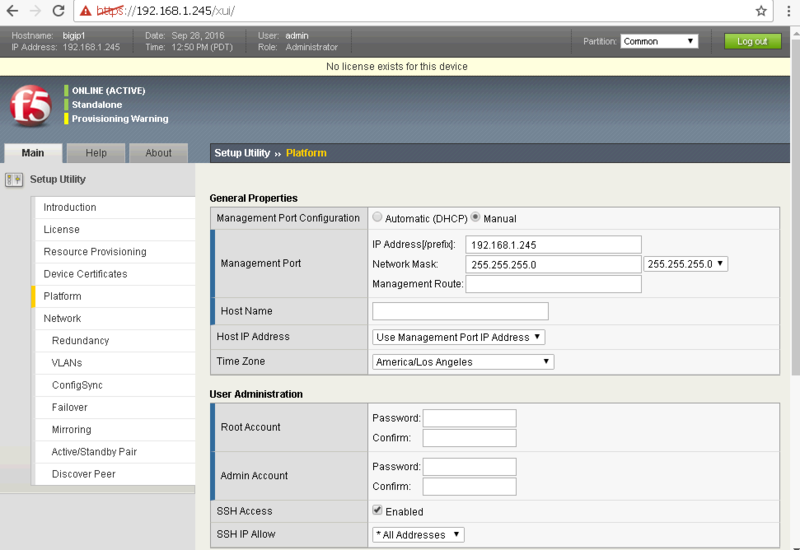 By default, Mgmt interface has been configured ip as 192.1681.245/24. We will change it to 10.94.200.31/24 from command line. You can verify it through accessing https://10.94.200.34. Default username and password is admin / admin. You will have to change host name, root password, admin password as well before you can submit the change. 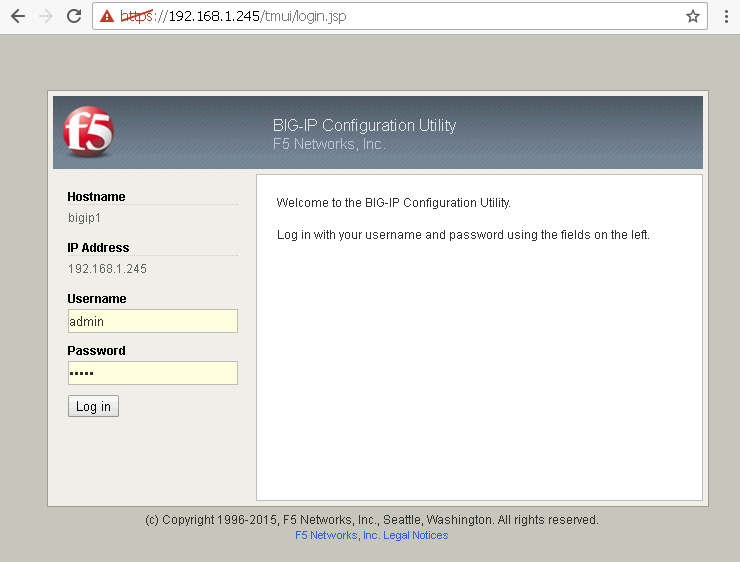 Other steps can be found from my previous post F5 Big-IP 2500 Appliance System Initial Configuration. Thanks for sharing this with us.Please visit once at qosnetworking.com.